The Momentus Project is a thoughtfully curated collection of illustrations that chronicle landmark moments in American history. Looking through the collection, it basically reads like a “who’s who” of American illustrators…so you can imagine my excitement at being asked to contribute! 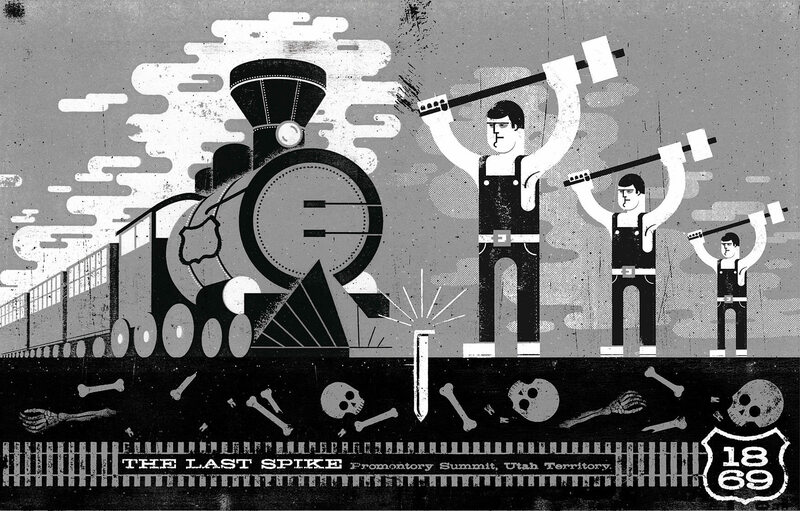 I was asked to create the driving of The Last Spike in the Transcontinental railroad, a feat that was only accomplished with a great loss of life.